All her life, Blue has been warned that she will cause her true love's death. She doesn't believe in true love and never thought this would be a problem, but as her life becomes caught up in the strange and sinister world of the Raven Boys, she's not so sure anymore.s held back her own gift. It is time to make a choice: Cling to the safety of her old life, or embrace a powerful new destiny? I’d say this list is not in any meaningful order, but the fact that this book comes first exposes that as an obvious lie. There’s nothing I’m anticipating more than the conclusion to Stiefvater’s Raven Cycle. It’s all too possible that I may not survive. I loved Wake and I’m really looking forward to seeing what Hope will do next. Addie has always known what she was running toward. In cross-country, in life, in love. Until she and her boyfriend—her sensitive, good-guy boyfriend—are careless one night and she ends up pregnant. Addie makes the difficult choice to have an abortion. And after that—even though she knows it was the right decision for her—nothing is the same anymore. She doesn’t want anyone besides her parents and her boyfriend to know what happened; she doesn’t want to run cross-country; she can’t bring herself to be excited about anything. Until she reconnects with Juliana, a former teammate who’s going through her own dark places. Once again, Christine Heppermann writes with an unflinching honesty and a deep sensitivity about the complexities of being a teenager and being a woman. 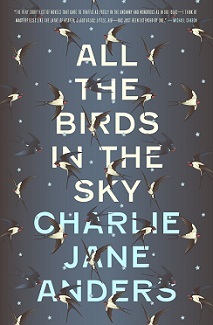 A new novel in verse from the author of Poisoned Apples, one of my favourite books last year. 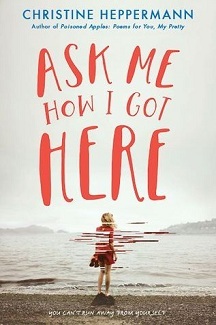 Intriguing blurb plus amazing cover? Of course I’m sold. Twelve-year-old Nick is a soccer-loving boy who absolutely hates books. 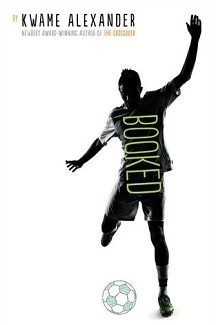 In this follow-up to the Newbery-winning novel The Crossover, soccer, family, love, and friendship take center stage as Nick tries to figure out how to navigate his parents’ divorce, stand up to a bully, and impress the girl of his dreams. These challenges—which seem even harder than scoring a tie-breaking, game-winning goal—change his life, as well as his best friend’s. This energetic novel-in-verse by the poet Kwame Alexander captures all the thrills and setbacks, the action and emotion of a World Cup match. New Kwame Alexander! The Crossover was amazing and this sounds great too. Fantasy has been an important and much-loved part of children's literature for hundreds of years, yet relatively little has been written about it. 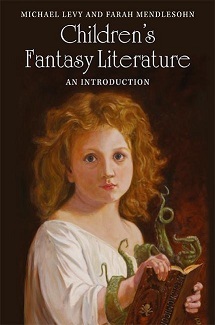 Children's Fantasy Literature traces the development of the tradition of the children's fantastic - fictions specifically written for children and fictions appropriated by them - from the sixteenth to the twenty-first century, examining the work of Lewis Carroll, L. Frank Baum, C. S. Lewis, Roald Dahl, J. K. Rowling and others from across the English-speaking world. The volume considers changing views on both the nature of the child and on the appropriateness of fantasy for the child reader, the role of children's fantasy literature in helping to develop the imagination, and its complex interactions with issues of class, politics and gender. The text analyses hundreds of works of fiction, placing each in its appropriate context within the tradition of fantasy literature. I really enjoyed Farah Mendlesohn and Edward James’ A Short History of Fantasy, and I can’t wait to see what great books this will introduce me to. A powerful collection of essays on feminism, geek culture, and a writer’s journey, from one of the most important new voices in genre. 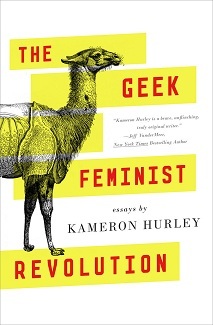 The book collects dozens of Hurley’s essays on feminism, geek culture, and her experiences and insights as a genre writer, including “We Have Always Fought,” which won the 2014 Hugo for Best Related Work. The Geek Feminist Revolution will also feature several entirely new essays written specifically for this volume. I’ve enjoyed what I’ve read of Hurley’s non-fiction, and these essays sound right up my alley. Shawl's speculative masterpiece manages to turn one of the worst human rights disasters on record into a marvelous and exciting exploration of the possibilities inherent in a turn of history. Everfair is told from a multiplicity of voices: Africans, Europeans, East Asians, and African Americans in complex relationships with one another, in a compelling range of voices that have historically been silenced. 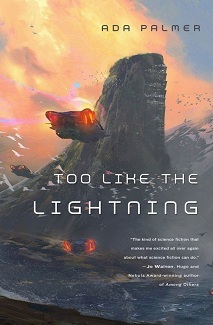 I have no words for how amazing this book sounds. The deadly campaign in Russia has cost both Napoleon and those allied against him. Napoleon has been denied his victory… but at a terrible price. Lawrence and the dragon Temeraire pursue the fleeing French army back west, but are demoralized when Napoleon makes it back to Paris unscathed. Worse, they soon learn that the French have stolen Termeraire and Iskierka’s egg. Now, it is do or die, as our heroes not only need to save Temeraire’s offspring but also to stop Napoleon for good. In Irish lore, when children go under the hill they don’t come out again. When children go under the hill, they stay where they’re put. When children go under the hill, parents, though they pray and search, don’t truly think to see them anymore. 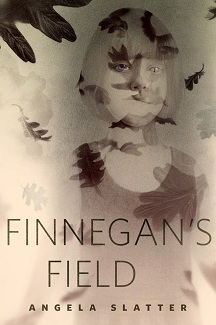 In Finnegan’s Field, South Australia (POP. 15,000) the inhabitants had more than enough Irish left in their souls that, despite a century and a half since emigration, they bore these losses with sorrow, yes, but also with more than a little acceptance. A sort of shrug that said Well, it was bound to happen, wasn’t it? Eire’s soft green sadness with its inherited expectation of grief ran in their veins so they did little more than acquiesce, and they certainly did not seek explanations. Until Madrigal Barker came home. Of Sorrow and Such made me want to read everything Slatter has written. 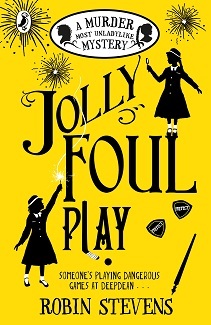 I’m really looking forward to this new novella. A year ago, International Assembly delegate Suyana Sapaki barely survived an attempt on her life. Now she has everything: she’s climbing the social ranks, dating the American Face, and poised for greatness. But the secret that drives her couldn’t stay hidden forever, and as she scrambles to prop up her lies and save herself from a political scandal that could kill her, she has a new enemy: the public eye. A year ago, Daniel Park was hoping for the story of a lifetime. He got her; he’s been following her for a year. But what do you do when you feel the person has vanished inside the shell, and dangers are building all around you? How much does Daniel dare become involved when his job is to break the story? And how far will he go for a cause that isn’t his? A sequel to my beloved Persona! Need I say more? An anthology of children’s mystery short stories whose contributors include Frances Hardinge, Robin Stevens, Susie Day, Clémentine Beauvais and more. I can’t wait to get my hands on it. Another irresistible combination of cover and blurb. 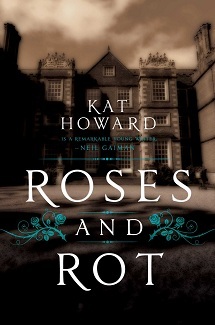 Plus I heard great things about Howard’s short fiction this year — it will be great to try her at last. 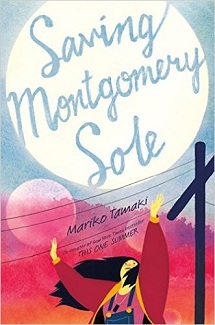 A Mariko Tamaki novel! Her comics are perfect; I’m so excited to see what she’ll do in a different medium. 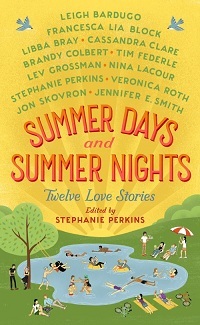 My True Love Gave to Me, Perkins’ anthology of romance stories set around the holidays, was an absolute delight; these summertime love stories by Nina LaCour, Francesca Lia Block, Perkins herself and many more sound like they’ll be just as charming. Helen Oyeyemi! Interconnected short stories! Fairy tales! Strange houses! A thousand times yes. You Know Me Well, told in alternating points of view, is the story of two unlikely confidants. Classmates Mark and Kate have sat next to each other for a year, but have never spoken. One night, far from home, their paths cross, and soon, they realize they know each other better than anyone else. They’ll guide each other through their first loves and heartbreaks, which, by the way, don’t involve each other: Mark is in love with his best friend Ryan, while Kate has been in love with a girl from afar, and may have ruined her chance to meet her. 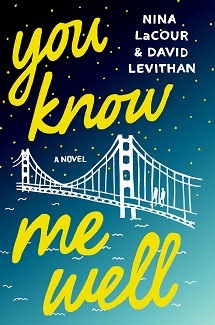 I love Nina LaCour, and David Levithan’s collaborative novels with Rachel Cohn were all so great. I’m hoping this one will be along the same lines. The first in what sounds like a stunning socio-political science fiction trilogy. New Wells & Wongs! 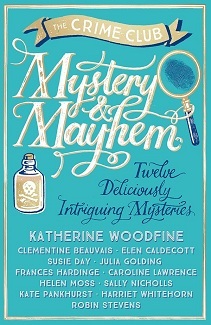 Have I mentioned lately how much I love these mysteries? AND A THIRD BINNY CORNWALLIS BOOK. Cue in screaming. Crosstalk [is] about telepathy—and our overly communicating world. It’s also about helicopter mothers, social media, Joan of Arc, sugared cereals, Bridey Murphy, online dating, zombie movies, Victorian novels, and those annoying songs you get stuck in your head and can’t get rid of. Willis talked at length about this novel, which was then a work in progress temporarily titled The Very Thought of You, when I saw her at LonCon. It sounds so good. It feels like I’ve been waiting for it for ages and I can’t wait to have it in my hands. 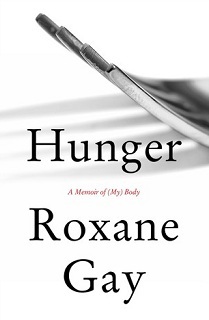 Roxane Gay has quickly become one of my absolute favourite essayists. I’m really looking forward to this book. More than sixty­-five years ago, Pallas Athena founded the Just City on an island in the eastern Mediterranean, placing it centuries before the Trojan War, populating it with teachers and children from throughout human history, and committing it to building a society based on the principles of Plato's Republic. Among the City's children was Pytheas, secretly the god Apollo in human form. Now, more than a generation has passed. The Cities are flourishing on Plato, and even trading with multiple alien species. Then, on the same day, two things happen. Pytheas dies as a human, returning immediately as Apollo in his full glory. And there's suddenly a human ship in orbit around Plato­­a ship from Earth. 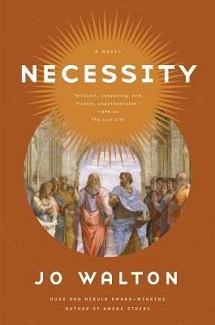 It seems that final book in Walton’s Thessaly trilogy will be out next summer. I adored the first two and can’t wait to see how it will all end. ***I’ll be back soon with a list of comics I’m looking forward to in 2016. What about you? What are the stories you’re excited about? The problem with Stiefvater series is that it is so overwhelmingly sad when they finish up! But as with Sinner that followed the Shiver series (after she swore she wouldn't write any more) there is always hope! Ah Novik, I would love to see another to follow Uprooted!!! I know! Especially because she's not one to go soft on us at the ending. ARGH - will my poor heart take whatever's coming? 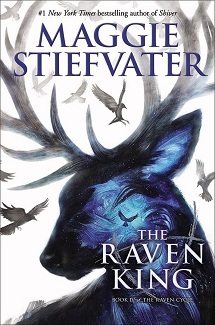 How gorgeous is that cover for The Raven King!? You totally converted me to Steifvater in 2014 and am desperate to read it. 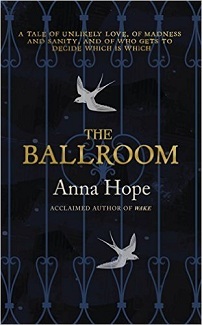 And I'm really eager for The Ballroom too - Wake was so so good (I can't believe it will have been two years since I read it soon). 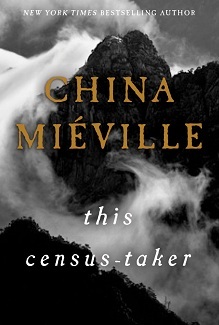 I haven't heard of most of the others but Everfair, This Census Taker and Too Like the Lightening sound amazing. Hooray for 2016! I have five of those on my can't-wait list too! I need to investigate some of the others. So many good books! I like how we'll never, ever run out of excellent things to read. You have just added wayyyy too much to my TBR list. And some of these series I haven't even started on yet! 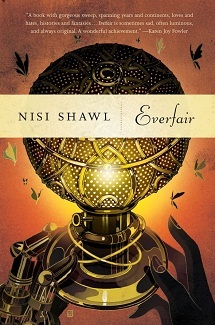 Oh my God, I just about had a heart attack when I got down to the Nisi Shawl book. I hadn't heard of that before and it sounds so good I don't know how to deal with it. I KNOW THINGS ABOUT CONGOLESE HISTORY. 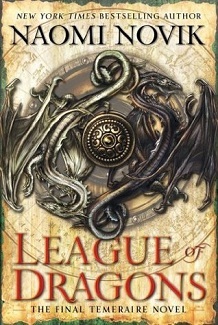 How did I not know about this book oh God it looks so so so so good. 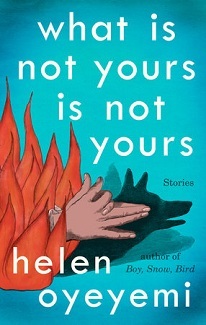 I am slightly less excited about the Helen Oyeyemi book than I would be if it were a novel. But I am still excited. Helen Oyeyemi is my girl. But they're interconnected stories, so I'm hoping for something as glorious as Mr Fox :D And yes! How awesome does the Nisi Shawl sound? ALSO, JENNY, A NEW BINNY BOOK! COME BE EXCITED WITH ME.